I’m so happy you’re here. The courses below are meant to inspire and encourage you as an artist. Each beautifully curated class is filled with inspiring lessons, guided instructions, and resources with everything you will need make art that only you can create. Give yourself permission to create and reveal the soul of your art. I’m so happy and very honored to be a guest teacher for Ivy Newport’s beautiful Creative Network again this year. I would love for you to join me as we find inspiration through our most beloved literary characters. View trailer below to see a few of the projects from Ladies of Literature. The link above will take you to the class page to learn more about the art projects we will be creating. 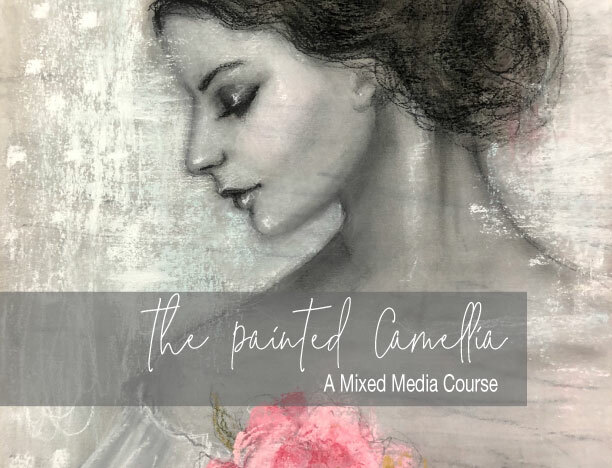 An Online Mix Media Course in Portraits, Abstract, Collage and Art Journaling. Instant Access! Full Bloom is a mix media course where we celebrate the enchanting world of flowers. 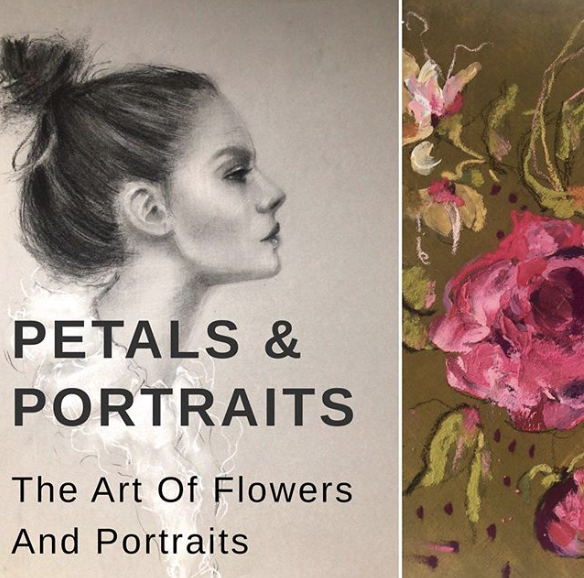 They will inspire us to create beautifully textured backgrounds, luminous portraits, and abstract figures and flowers while developing a rich creative practice. I'm thrilled and honored to be a guest teacher on the Ivy Newport Creative Network. The classroom is now open and you will have lifetime access. We will explore Art Journaling, Charcoal Portraits, Mixed Media Portraits and Abstract Figures. To lean more or register visit Ivy's Creative Network today. Visit Ivy’s Website to learn more about the projects and purchase this class. 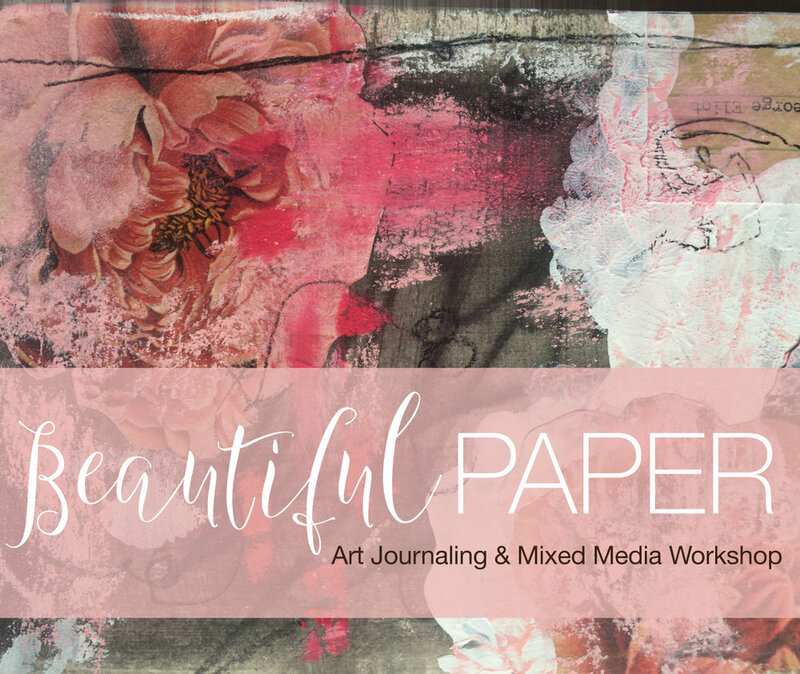 Beautiful Paper is an in person, one day art journaling and mixed media workshop located in Downtown Ann Arbor. In this nurturing art class, we begin by experimenting with art supplies, color and collage. Explore gorgeous art materials like, acrylic paints, soft pastels, charcoal, inks water color pencils and more. Create beautiful collage papers out of new and vintage papers, build layers of color and create rich textures on the pages of your journal. Inspiring exercises that will help you move past resistance and the dreaded blank page. Finally, create a series of small abstract collage pieces inspired by the pages of your art journal. Sign up for my newsletter if you’re interested in a little bit of art and life for your inbox.